The Business Technology Program prepares students for wide range of business careers. 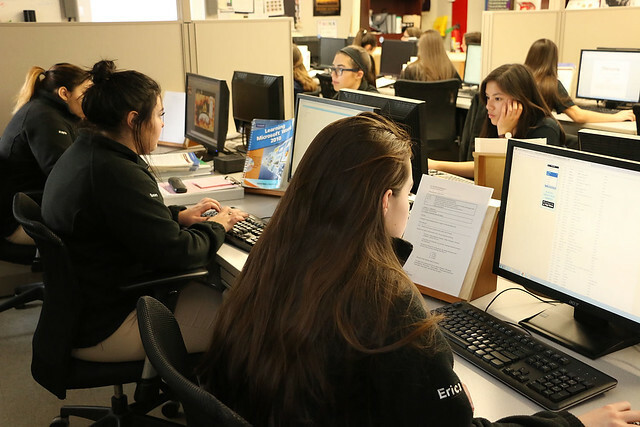 In a simulated office setting utilizing state-of-the-art equipment, students become acquainted with the skills, abilities, and attitudes needed for a successful job performance in the technical business office profession. 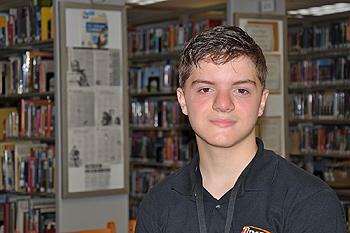 Students explore a wide range of skills including keyboarding, computer applications using word processing, spreadsheets, database and presentation packages, Internet exploration, records management, accounting, consumer education, business mathematics, operation of office machines, and general office procedures. Students who complete this program will be highly prepared for employment in today's computerized and technical office. Seniors students complete a portfolio project and are encouraged to participate in the Co-op Program, which provides career opportunities. With further training in this field, additional opportunities for career advancement increase. We want you to join the Diman family. While we're proud of our vocational programs and their ability to turn young men and women into skilled members of the community, we can't maintain that level of quality without the help of industry professionals. Please consider joining our Vocational Advisory Board, where you will help steer our vocational programs and students toward future success. Learn more and apply here. 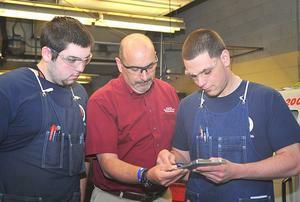 Students graduating from Diman have a variety of job options open to them. Below is a partial list of jobs Diman grads from this program are qualified for, depending on their level of education.